Rotorua CBD is around 10 minutes away. This house has everything families want: Spacious at around 200 square metres, with a generous living area, four bedrooms - including an ensuite and walk-in wardrobe in the master – plus good size bedrooms and modern family bathroom. Two heat pumps as well, with winter looming – one in the lounge and another down the hall. The house works well with its section. The screened and sunny private patio blends easily with garden playgrounds and off-street parking. It’s designed around easy-care but gardeners still have ample scope to put their green ﬁngers into gear and take the property to the next level. Twenty years of fun and laughter is a long time and a lot to give up. It’s just time, that’s all. Time for this family to move on; and another family to move on in. Hopefully that will be soon. ROTORUA NEW LISTING 40 Ranginui Street Weekend Escape Or Retirement 40 Ranginui Street is the complete 'Loving, Living, Local' package set on a 1257m2 freehold section offering lawn to lake edge, complete with your own private beach, jetty and hidden point fantastic for relaxing and enjoying breakfast, lunch or dinner by the lake. Fishing, boating and kayaking couldn't be any closer, with a canoe shed at the lakes edge. The covered BBQ area makes outdoor entertaining simple. Fly fish from your lawn and impress visitors by catching a stunning Lake Rotorua Trout while entertaining friends and family. Enjoy the lake, the large sun-soaked deck with expansive lake views. Life doesn't get much better. NEW LISTING DEADLINE SALE 93 Mount View Drive First Home Buyers Step inside 93 Mount View Drive and start living. This home is ready to be enhanced with your colour palette inside and out. The bathroom doubles as an en-suite to the master bedroom and comes complete with a wet floor shower, and a shower over the bath as an extra. The house is heated by a complaint wood fire in the lounge, fantastic for the upcoming colder winter months. The large 852m2 section with great outdoor cobblestone entertaining area is perfect to entertain while watching the kids play. Call now to arrange a viewing, this property will not last long. 20 Kauae Place Room To Grow This north facing, well presented 4 bedroom, 2 bathroom family home is situated on a fully fenced section in Kauae Place in popular Ngongotaha. After almost 20 years of living in this delightful home from new, the vendors have decided its time to move on. Open plan living/kitchen/dining leading to the sun drenched patio area so you can enjoy those summer evenings in the private setting this delightful property offers. This unique property offers multiple opportunities with access to 2 full kitchens, 3 toilet/showers, 5/6 bedrooms, living space with access to an amazing section with 2 stand-alone garages. Although in need of some TLC, use this as a home and income, Airbnb or use the lock up door to have 2 permanent self-contained units. This property is just waiting for you to call it home! Family Living In Springfield With views out over Rotorua to the lake beyond, this solid and spacious home is a world of possibilities, whether you are looking for a home you can move right on into or somewhere you can add your own touches. There are four sizable bedrooms, the master with its own en-suite and extra large wardrobe plus family bathroom. The open plan living areas flow seamlessly out onto the expansive entertainers deck with retractable awning. 2 Spencer Street Seeing Is Believing This huge home offers 5 bedrooms, 2 kitchens, 2 living areas and 2 bathrooms, although in need of renovation and decoration it offers so many different opportunities. Home and income scenario or an independent extended family living. Set on 2 levels with internal and external staircases on a corner section of Spencer Street and Clayton Road with a large free standing double garage, this property is a 5 minute drive to town. Central - Cosy and Modern Situated at the end of a quiet cul-de-sac in a popular central suburb is this stylish low maintenance brick unit. Featuring two generous bedrooms, a modern kitchen with gas cooking and brand new appliances. Furnished with new fixtures and fittings the bathroom is sparkling. Gas hot water. Garaging for parking and storage. New paint and carpet add the finishing touches to what is simply a beautiful property not to be missed. Perfect downsizing or first home opportunity. To make this your new home call me to view today. 8 Park Road Great Investment Or First Home Three bedroom home on a large freehold section with the potential to subdivide with council approval. Large double garage. Sunny aspect with good outdoor living. Current tenant would love to stay so this would be perfect as an investment or at this level a good first home option with the ability to add value. Come to the open home or contact me to view. 43 Miller Street Central Living At Its Best Looking for that extra space for the family? Then this solid family home located in the popular central suburb of Glenholme is just for you. Offering the option of three bedrooms and two living areas or four bedrooms and the one living space it will appeal to a variety of buyers. There is opportunity to add value here and make this home your own. Situated on a freehold section and close to all levels of schooling. ROTORUA 21A or 21B Park Road Brand New Townhouses The vendor has applied for consent and hopes to have the first two town houses built in the next 3-6 months. The house and land package is freehold and can be viewed on our website or at www.tridenthomes.co.nz. All information is recorded including the specifications. The land will be beautifully landscaped and all driveways put in. 3 bedrooms plus an office and great indoor out door living areas. This two story home has been built across four levels of living. The top floor comprises of a bedroom and bathroom with a huge office/study area, the middle level has a large double bedroom while the ground floor offers the master bedroom, en-suite, kitchen and dining area. Step down into the lounge where you'll find a new compliant wood-fire and flow out to a lovely conservatory. All set on lovely park like grounds. 12A Robertson Street Beauty In Glenholme Charm and modern living go hand in hand at this gorgeous Glenholme character home. Pretty as a picture, the centrally located home sits on a private secure section and exudes comfort and style. This home showcases an ambiance of instant welcome, including lovely native flooring, french doors which open to decks from the living and dining rooms plus an internal access garage. 227 Clayton Road Who's After A Deal? Is there fine print? Yes there is! This 3 bedroom character bungalow sits on 1538m2 section (more or less) which has been 90% subdivided. Modernised throughout presenting an appealing, comfortable standard of living. Updated clean compliant wood burner essential for winter nights. Modern bathroom with bath, separate shower and toilet. Separate laundry room with second toilet. Lots of opportunities here. 19 Kauae Place Serious Price Drop Vendors demand action and have reduced the price from $650,000 to only $615,000. You have to view this well priced, low maintenance family home! Modern brick with colour steel roof, open plan home set amongst other quality homes in a safe and quiet cul-de-sac in sunny Ngongotaha. Double garage and well fenced established section completes the picture. Walk to the lake and shopping centre with the boat ramp being less than 1km away. With high ceiling open plan living and delightful flow to a covered deck area plus a super private spa area you are about to indulge yourself. A designer bathroom is ready to wow you, the triple garage is a dream come true and the studio provides additional living space. Fully fenced and gated, new driveway and turnaround and with low maintenance border gardens this is the best presented home we have seen for ages. Looking for a modern freehold property at the Lakes, then you have to view this great property!! Large site of approx 1553 sqm in Kennedy Bay with spectacular views down the valley and across Lake Rotoehu. Sit on the large deck that is surrounded by native bush and bird life and relax with a glass of your favourite. Being very private makes this a relaxing hideaway property. See For Miles and Miles Just WOW ... Sensational views from East to West and all in between. Stunning Brunswick lifestyle property with residential privacy and convenience. Well constructed, brick home with designer features, double glazing and private sun drenched outdoor decks and entertainment areas in a comprehensive package with landscaped gardens and a secluded native bush sanctuary. Featuring open plan lounge and dining with an epicurean kitchen, wood burner fire, a separate formal living room, and sliders opening to expansive decks. Four double bedrooms and two bathrooms make this a family haven. The meticulous attention to detail seen in this home will be appreciated. Executive Family Home A fabulous family entertainer in a sought after neighborhood, this spacious residence emanates contemporary elegance. Incredibly spacious offering four bedrooms, two bathrooms and double internal access garaging. This property is a must view! We are proud to acknowledge our talented Rotorua team. Easy Living In The City A foothold on the property ladder for young entry-level buyers or a lifestyle choice for mature downsizing purchasers. This central townhouse is located close to cafe culture, retail, cuisine and vibrant inner city life, and is ideal as a lock-up-and-leave apartment or fabulous holiday home. The bottom line is: easy living with minimal maintenance. Thermal and Irresistibly Charming This early 20th century villa turns on the charm. Character throughout, its colourful history is reflected in the decor. This character dwelling meets the needs of a modern family with its 3-4 bedrooms, large separate lounge and dining rooms, homestead-style kitchen and big bathroom. Set on 860 sq m it enjoys thermal heating and nearness to town. Call today! World Class Setting Blissfully nestled on the shores of Lake Rotorua, this dream property captures the tranquility of a lake-edge reserve setting. Anglers' heaven, it has a trout stream on the eastern boundary, a self-contained unit ideal for home and income and a 1/2 share in a jetty. The main dwelling is a beautifully renovated 1950's three bedroom home with a north-facing aspect and expansive views over the lake and beyond. Home and Income at No 5 Two homes over two levels makes this multi-use property twice as appealing. Nestled in nature, the versatile property enjoys a prime lake location and makes exciting buying as a dual investment or home and income. Reach more people - better results faster. IntheheartofSpringfield Set in the heart of Springfield you will fall in love with 19 Simmonds Crescent. You will enjoy all the benefits this extensively renovated family home has to offer. Upstairs are three large bedrooms a gorgeous bathroom and an open plan kitchen, dining and living area with beautifully polished native timber flooring. Downstairs are two more bedrooms a study an abundance of storage the second bathroom and a second living area. All set on a large sunny section and super close to town, and a short walk to tranquil Tihi reserve, Otonga school, Jackson park Kinder garden and Otonga shops. Too much to list here!!! for more information or to book a private viewing call Bryn Supporting the Child Cancer Foundation for over 20 years. IntheheartofLynmore 72 Iles road has been architecturally designed for convenient and easy living. Generously sized and featuring sunny living areas, easy indoor/outdoor living with access to the private back yard BBQ area and gardens. The three generously sized bedrooms all enjoy plenty of light. Families will appreciate the two bathrooms and a third toilet. The plus sized double garage fits two cars with plenty of space for a workshop and storage. Set in the heart of Lynmore you are only a short walk to Lynmore Primary school, Warwick drive bowling club, Lynmore tennis club, Redwood forest and a short drive to the lakes or town. Lynmore houses sell quick! Act fast, call Bryn! LovinglyRenovated 24 Tawavale is a sunny, low maintenance, single level home in great location. Lovingly renovated you will enjoy the modern kitchen, gas fire, new carpet and much more. Three bedrooms, two bathrooms and an internal access double car garage. The en-suite is designed specifically for easy access and a conservatory off the side of the master bedroom. Too much to list here. For more information or to book a private viewing call Bryn. ImmaculatelovedWestbrookhome Lovingly cared for the current owners are looking to downsize. Upstairs are three large bedrooms the family bathroom and main living areas, which have access to the sunny conservatory. Downstairs, is a large rumpus or fourth bedroom a separate toilet and internal access double garaging with loads of storage and a workshop. In an excellent area, Westbrook school zoned, super close to town, backs onto the stadium. Plenty of space in the yard and room to park the boat. Westbrook homes rarely come on the market and when they do they sell quick. For a private viewing or to find out how you can own this home call Bryn. Beautifully presented you will immediately feel at home in 24 Carter drive. You will enjoy the tasteful color scheme of the walls, drapes and the plush carpet. The expansive deck is positioned for the sun and has views of Mount Ngongotaha and across the city, the deck wraps around the house and is accessible from the main living area and all three of the bedrooms. The master bedroom has a walk in wardrobe, the ensuite and main bathroom have been recently renovated. Easy living with Gas fire and an Internal access double garaging. Westbrook School zoned, super close to town, the Redwood forest, parks and the stadium. Phone Bryn to view. Optionsforthewholefamily Come and have a look at what this large family house has to offer. The main house has plenty of space for the whole family. Upstairs is an expansive sunny deck adjoining the main living area, 3 bedrooms and a bathroom, downstairs is a fourth bedroom or rumpus a second bathroom, huge laundry and an internal access single garage. A separate double garage also has a sleep-out that could be a teenagers room or a games room. 1 Gifford Place is set on a huge fully fenced section, surrounded by mature trees, on a quiet street in a good neighborhood and super close to town and schools.For more information or to book a private viewing call Bryn. Superfamilyhome,insunnyNgongotaha This wonderful three-bedroom family home has become available. Log burning fire for those long winter nights, along with a heat transfer, ventilation system and insulation. The tiered, fully fenced section has so much potential for an amazing outlook. There is a rural feel to the property, yet you are only 2 minutes from Ngongotaha village and 10 minutes from town. Priced to sell, get in quick to secure your next home. Give Beverley-Jayne a call today. For more information on this property, please go to: http://www.propertyfiles.co.nz/property/PRT14599 Supporting the Child Cancer Foundation for over 20 years. 1stTimeOnTheMarketIn55years! Built in around 1964, this is the first time on the market since then. If you are looking for a home with a peaceful, tranquil setting and a home that could cater for your families needs, then this one is for you. A home on two levels, ground floor has an internal access double garage, laundry, second shower and basin and huge storage area. 1st floor has 3 bedrooms, bathroom, separate lounge, kitchen and dining. The outlook is beautiful looking over the grounds and the stream running along side the section. The bird life in the garden along with the beautiful flowers are just stunning. Don't miss out on this stunner! Nestled in behind the Totalspan warehouse. This property is within walking distance of all amenities, including all levels of schooling, shops and public transport we have 114a Old Taupo Road. Here to greet you is an immaculately presented home with open plan living, four double bedrooms, two bathrooms and a single garage. The setting is beautiful, trees keep it private with a real natural feel. There is a creek at the end of the section which the kids will love and great covered deck to entertain and relax. Take the time to view and consider this home. Location is key! Phone Beverley-Jayne for your private viewing otherwise I'd love to meet you at my open homes. WEBSITE Supporting the Child Cancer Foundation for over 20 years. New build offices in Eruera Street, ready to fit out now. Approx 142sqm. 2-3 carparks included with rental. 2x toilets, lunchroom and store cupboard. Open plan working spcae. New build 100% NBS. With a bit of sweat equity, this prime piece of real estate could be restored to its former glory. The diamond shaped site is complimented by tall trees to the southern boundary providing privacy and shelter for the smaller trees. The 170mÂ˛ Mediterranean style home could do with a little TLC, but is more than livable as it. Three bedrooms, master with ensuite and walk in robe. The guest bedrooms are flanked by a full family-size bathroom. The kitchen is separate and incorporates a casual dining space which directly accesses a large covered patio that runs the length of the garden. The dining and family room also seamlessly connect to fabulous outdoor entertaining. The lounge is spacious and has a gas fire, the split level aspect provides a place to relax in the afternoon sun or create a library or formal dining area, the size and shape of this room lends itself to all manner of make-up. Excellent covered garaging and storage. From this elevated perfectly positioned 211m2 more or less home you can enjoy a rural outlook, all day sun and a life! The 578m2 more or less grounds are easy care and compact - get back to enjoying leisure activities as this property won't have you tied to the garden. Featuring a spacious separate lounge, open plan kitchen with all the modern conveniences, dining and a sizeable family room which opens to a front fenced courtyard. The bedrooms are all doubles, the master is large with an en-suite and walk-in-robe. Centrally heated by gas with the convenience of gas hot water. Generous double internal access garaging and a fully fenced section completes this picture. McCahon Drive is a sought after location, the Hodgkins Street reserve is a hop, skip and a jump, the central business district is a quick ten minute drive. This enclave of residential homes is established and enjoys a mixed age range of residents. Glenholme is a much sought after location that attracts the attention of discerning property investors. The first thing you notice when entering this spacious 308m² more or less dwelling is the expansive light and airy main room – the hub of this family home, which accommodates the kitchen, dining and family room. The formal lounge is separate the perfect place for children to have separation from Mum and Dad. The split level design of this dwelling adds interest. The ground floor also accommodates two bedrooms, an office and a bathroom. Level one has a huge master suite, a full family size bathroom and a second guest bedroom. In total there is four bedrooms plus an office entirely heated by gas. The basement is a real treat currently used as a gym however it would make a perfect rumpus room or teenagers retreat. Internal access garaging and a carport. Easy care 900m² more or less of grounds, a flat easy walk to the CBD. Visually exciting contemporary This brand new home is a master class in modern living. The focus is on easy living wrapped in warmth and comfort, the emphasis is on creating an environment that is as care-free as possible. The kitchen is superbly equipped. A fully tiled walk-in shower features in the ensuite and the main bathroom has a luxuriously deep bath. A fully packaged master suite and two family bedrooms. All about living life to the max, this superappealing sanctuary is crafted for occupants at all stages of life. This Californian bungalow reflects a passion for traditional character, which nestles in a stunning 1,681m2 oasis, delivering a special living environment that radiates retro glory, comfort and exceptional good taste. Built in the 1920s and emphatically enhanced in recent years, encompassing four bedrooms and two bathrooms. Living is north-facing, with a charming outlook. The expansive, professionally landscaped grounds are a garden wonderland. Original and very retro, this 1960s' brick home is full of cool character and style, and embraces an environment of huge potential. The dwelling is a substantial 240m2 (more or less) positioned on a 900m2 section – room for kids to run around, kick balls and play cricket, together with space for the avid green finger gardener to mill around in. The property lies in a desirable residential pocket directly opposite the golf course and allows you to place your stamp or simply enjoy the spaces. Stunning park-like grounds with lush lawns and established trees, the dwelling is a solid 270m² immaculately presented 1950's home - the type where family memories are made, a property with history which gives it heart and soul. The perfect work from home layout or with a little tweaking an air B&B. Albeit immaculately presented, the house would make an excellent project, and given the location, money invested in this property would be safe. May this Easter bring you all together for a great celebration ﬁlled with lots of joy, happiness and of course chocolate! I am fully available over the Easter period should you have any real estate needs. A beginner’s winner This property offers a wonderful opportunity as an affordable first home, a family home or a rental investment. Situated within walking distance to the playground and local shops, you’ll discover this three bedroom home. The 74m² more or less home situated on a large well fenced section offers a tidy kitchen and open plan dining and lounge area. The home could benefit from a little modernising and would be a perfect fit for the family handyman. Privacy and potential This property offers an exciting opportunity as an affordable first home, a family home or a rental investment. Nicely positioned on a 1/2 share 1,011m2 rear site and situated within easy walking distance to the local amenities. The 80m2 more or less home offers a three bedrooms, a tidy kitchen and open plan dining and lounge area plus a pellet fire. A separate laundry if located off the kitchen and there is the added bonus of a single carport. The 805m² landscaped grounds have a lovely leafy aspect and the trees attract a variety of birds. Nesting in nature, this modern four bedroom/two bathroom home enjoys an intimate relationship with the outdoors. It spans two levels and offers a step-down zoned lounge area and a central kitchen with good social connection. The home has double internal garaging and is on full gas services, including cooking, heating and hot water. Nestled in absolute privacy on a landscaped 1631m² site, the home is cocooned in a garden wonderland. A relaxed haven to come home to at day's end, this 254m² retreat offers a family four generous bedrooms, a full office and the luxury of two bathrooms plus a powder room. Two lounges, and separate dining provide ample space for living and entertaining. A character home with native timber floors throughout, three bedrooms, open plan kitchen and living areas, plus the bonus of geothermal heating. Plenty of off-street parking, a double garage plus a carport. Within easy walking distance to all levels of schooling and central business district. Currently tenanted so there is an instant return. Standalone townhouses in this location are in high demand. Amid private gardens nestles a 4+ bedroom family home that is a sanctuary to come home to at the end of a busy day. The house and gardens provide uplifting settings for laid-back living, entertaining and an alfresco lifestyle. Interiors are infused with light, have a free flowing layout and seamless outdoor relationship. There are generous zones for meal preparation, dining and lounging. The home also incorporates a studio with external access. This quality-built townhouse offers the benefits of location and thermal comfort. The low maintenance 180m2 more or less dwelling features three bedrooms and a large rumpus room, which has direct access out to a cobbled patio area with a thermally heated pool. Internal access garaging and space to park two cars, this extremely liveable home has great potential to add value through modern refreshment. 103 Sunset Road is an ideal first home or investment property. A low maintenance three plus bedroom home which has been given a new lease of life with a new kitchen, bathroom and laundry. Polished native timber floors throughout, open plan living zones are serviced by a strategically placed heatpump. Flat fully fenced 657m2 site within easy walking to childcare and schooling. 830m² corner section in Eastlake Subdivision New to the market - this 830m² more or less corner section is available now for immediate possession. Positioned in popular Eastlake Subdivision, the central business district, Motion Entertainment, Lynmore Junction and the Redwood Centre along with all levels of schooling are an easy commute. This popular development has recorded some excellent sales of existing homes in the past twelve months giving confidence that you can build your dream home and your investment will be safe. Waterfront Boatshed Bay This Boatshed Bay property has plenty going for it especially the exceptional and captivating views. The 190m2 home provides plenty of space with a modern kitchen, open plan dining and living area – which extends out to the fabulous entertaining deck area. Four bedrooms in total over the three levels, a family bathroom has bath and shower plus there is a second toilet. Access to the lake is via a stairway through native bush. Boasting lake views from an enviable vantage point. Seamless transition between indoor and outdoor spaces, the alfresco is a Tuscan-inspired courtyard. Centrally heated by gas, separate gas fire and gas cooking. The three bedroom sleep zone includes a master with bathroom access. Guest overflow is accommodated in the sleep-out. Practicalities include two toilets, basement storage, single garage plus carport. While the comfortable retro interiors are very liveable, there is scope to add value. This amazing property has been in the family for over 40 years and is now on the market for a discerning buyer. The best uninterrupted views of Mount Tarawera and the beautiful lake foreground, provide a constant picturesque distraction to everyday life. With four large bedrooms, this holiday home is also very practical with a line up of separate amenities. There is the added advantage of triple car garaging. The very rare flat easy access provides great parking for cars, boats and toys. BAYLEYS ROTORUA 07 349 3210 SUCCESS REALTY LTD. LICENSED UNDER THE REA ACT 2008. An architecturally designed five bedroom home with native bush backdrop overlooking Lake Tarawera. Spectacular lake and mountain views with floor to ceiling double glazed windows, sensational from the master suite upstairs, walk in wardrobe and ensuite bathroom. The upper level has an additional three bedrooms, family bathroom plus second living area. The lower level is an expansive living area with seamless access to the wrap around deck. A modern wellappointed kitchen/dining area is the heart of the home with underfloor heating. Other features are; oak flooring, internal accessed double garage, guest bedroom, bathroom, laundry plus radiator heating and wood burner. The friendly community in which the property is located provides plenty of space for the boat, bikes and more plus the benefit of a safe place for the kids to run around outside. Perfectly positioned only 10 minutes from town. Embrace a laid back lake-side lifestyle at this spacious waterfront retreat. The home responds to the environment by delivering inspirational living in a well-laid out 286m2 (more or less) format suited to relaxation, entertaining, family occasions and quiet contemplation. Big picture windows in the large open plan hub frame restful lake views. Three generous bedrooms each have an ensuite and walk-in robe. The master commandeers a downstairs wing and the upstairs bedrooms have their own balconies. There is a fourth bedroom option, or office, and a powder room for guests. Creature comforts include a solid fuel fire and five heat pumps. Vehicles and boat are catered for with three car garaging and a 14m long high-stud boat port. With a water-edge slipway and half share in a jetty, this property keeps on giving. A new 25 x 25 year lease on the 1,948m2 (more or less) land commenced on 1 January 2019 at $16,000 p.a. 32 Okareka Loop Road is a large, private and stylish home at delightful Lake Okareka. With views across two lakes to Mount Tarawera, it’s only minutes’ walk to the lake, and 12 minutes to Rotoruas CBD. It was designed by New Zealands luxury catamaran designer, giving it an aquatic feel. This multi-level home of three/four bedrooms, two bathrooms and three toilets provides comfortable living. This newly built, kiwi home provides comfortable living with an absolute stunning position to Lake Rotoma. The 122m² floor plan is thoughtfully configured with a family friendly layout; sunny open plan kitchen, dining and living area, four bedrooms including master with ensuite and walk-in-wardrobe. Positioned on a large 809m² leasehold section, wander along to the Old Trout Café for lunch. This property has a ground lease of $8,500.00p/a with a 20x20 year lease and is awaiting your inspection. This substantial and incredibly versatile property delivers endless lifestyle possibilities. Its grand proportions are not confined to the six bedroom home and self-contained retreat but extend outdoors to a collection of huge wellappointed sheds, large dog hotels and a stunning 5.0120 ha parcel of land. This awesome oasis is a contractors dream and a family haven all rolled into one. The honking big sheds include one full end-to-end heavy duty gantry and two with 3 phase power, here you have a contractor's dream property just 20 minutes from down-town Rotorua. This is a next-level work from home offering, with diverse business options ranging from a trades-based operation through to an animal lodge and private accommodation on the tourist trail. Designed to absorb a big family and guests, the enormous Hinuera stone home is ideal for multi-generational living. Native bush outlooks enhance the rural ambience. This productive property has multiple uses including beef, sheep, dairy support and tourism. 266ha more or less in three titles, well subdivided, tracked with water to all paddocks, three bay woolshed, five bay implement shed with workshop. Used as a dairy support block typically grazing 350 R2 heifers and 350 R1 heifers through summer. The home is positioned on an elevated section, including Ngongotaha stream riparian rights. Current owners previously ran a successful horse trekking business. This modern office complex was built in 2017 to the latest building standards and boasts an extensive, high quality future proofed fit out. This property will appeal to a range of astute investors, seeking a strategic property investment. Large scale office with parking 1081 Hinemoa Street has previously been occupied by professionals such as Iles Casey and the Chamber of Commerce. The 780m2 office is split over two levels with the ground floor configured with a reception area, board rooms, offices and amenities, and the first floor comprises of separate offices, filling room and an open plan area. This offering also comes with the additional benefit of 12 onsite car parks. Rotorua 1225 Hinemoa Street International branded tenant Cash Converters A secure investment opportunity in the heart of the central business district. 1225 Hinemoa Street is the new home of Cash Converters Rotorua - a strategic move taking advantage of the recently renovated city focal point with increased pedestrian and traffic count. Cash Converters are currently returning $80,000 net per annum and have just signed a five year lease with rights of renewals out to 2034. The building has recently been earthquake strengthened to above 67% of New Build Standard. Professional office – Professional location Situated in popular and professional Pukaki Street, is a very tidy 59.1m² office which has car parking available for an additional $1,300 plus GST per annum, plus if you require extra space there is a 24.96m² office adjacent also available. Surrounded by quality neighbouring tenants such as APM, Hughes Law – whom are both within the Pukaki Centre and within neighbouring buildings you have the likes of Perpetual Guardian, BDO and Spark. Good bones beneath, but a possible reclad. This 1970s home needs some love and attention. Situated on a 1012 square metre site (more or less) with the house at the forefront of the section, there's plenty of room to add value with another property at the rear. Mamaku house prices are definitely on the rise, so if you have the money, and the capability, then this is a great investment for you. Buyers and sellers welcome to view. Call us today. This is a large three-bedroom home plus a single garage underneath with internal access. A rumpus room downstairs giving extra space for those family gatherings. A large deck partly covered has appeal with a great sunny outlook to the large rear section, this rear deck also has access from the main bedroom. A compliant wood burner to get you through the winter ahead. Sitting elevated and proud overlooking Lake Rotorua with Mokoia Island beyond, spectacular panoramic views. Ripe for renovation, or simply live as is in its original 1970s condition, a solid 320sqm beauty . Comprising of two houses under one roof, on two levels. Create long lasting memories. Very close to town, this privately situated and redecorated easy care unit is a beauty. Newly carpeted with spacious lounge dining, and a big kitchen area. Internal access garage, with room for a workbench. Well sited on a small easy to maintain section, makes it perfect for Nana, busy professionals, or as a rental/book a bach investment. Beautifully presented inside and out, with many new extras/chattels that you need to inspect. Do not delay, phone Andrew today for your private inspection. Two x two bedroom units, side by side in Glenholme. They are on the one title and sited on a 1011m2 (more or less) section. Newly insulated top and bottom, with quality heat pumps. One has been newly painted inside, has new carpet and is ready for a tenant. Situated close to all levels of schooling and the Westend supermarket and shops. Property manager believes they will rent easily for between $330 and $350 per week each. Let your tenants pay off your mortgage. Do not delay, phone Andrew today. The term 'Handyman Special' springs to mind in describing this well used family home, desperately in need of paint, plus a few repairs. When finished it could be a stunning rental or first home. My keen to sell owner is ready to move on. There is always a demand for rental homes in this location. Renovated! No need to spend anything here, our vendors have done the hard work. Overflowing with space both inside and out, this character home, featuring native floors, modern colours is affordable for both families and investors. Light and bright open plan living areas, economical solid fuelled heating and insulation. Great garaging, with a hobby room or children's play area. Very close to the Central Business District, easy walking distance to Rotorua Girls High School. Expected rental return $400-420 per week. A full makeover has just been completed on this spacious home, offering a large garage including a rumpus/hobbyroom with its own entry. Fully fenced and gated section with a large concrete driveway. Private decks back and front, a modern kitchen with dishwasher, a heat pump in the lounge and gas hot water. The carpets, vinyl, drapes and paintwork etc have been chosen to complement the property and unlike other recent renos this one has colour and flair, a stunning example of a home to call home. The hard work has been done and the property has a lovely renovated interior with a great kitchen and bathroom. Three tidy bedrooms and a large open plan kitchen and lounge. A heat pump for winter warmth and a garage for the car. With the addition of some gardens and landscaping this would be a great place to call home for either home owner or tenant as it is currently rented for $390.00 per week and is close to all levels of schooling and shopping centres. Whether it's your first home or your first investment property, the tenant would love to stay on, you need to look at this one. Enter the property through classic white picket fencing to an easy-care section. A heat pump is fitted to keep this house cool on these hot days and warm in the winter. Positioned and elevated for rural views this three bedroom home is situated at the end of a cul-de-sac in popular Ngongotaha. The large north facing deck has rural views of the surrounding countryside. There are two heat pumps in the main house and another in the subsidiary dwelling, which is a cosy one bedroom with all facilities situated to the rear of the section giving privacy for both. Whether you are an investor looking for a good return or someone with an extended family this one is well worth viewing. A golden opportunity for budding first home buyers wishing to exchange rental payments into mortgage repayments. Two bedroom home is situated on a 663 square metre (approx) section. Insulated under floor and ceiling, fenced, carport, cobbled parking area. Rent appraisal of up to $300.00pw. We take pride in our ability to factor in the many variables of selling a property; we know each property, vendor and purchaser is unique. By reaching more people we create more competition and greatly increase the chances of getting a better price for you. Executive Living In Lynmore After 25 years this much loved family home is for sale. This well presented home is set on a 709m² section and is in one of Lynmore's more sought after cul-de-sac's. Open plan living with a spacious, modern kitchen is the perfect area to catch up and unwind, along with the separate living area with forest views. The master bedroom, on its own level has peaceful lake views. The outdoor entertaining area has good access to the living areas encouraging alfresco dining. Good off street parking and garaging for cars, bikes and toys. This executive family home is close to the Redwood Forest and is zoned for Lynmore Primary School. Be quick to view and let your family enjoy the next 25 years. Initial On Cobbe Vendors instructions are clear "Remove the price and bring me an offer". This large Initial home (manufactured by Lockwood) has a private 993m² section set amongst exclusive homes in sought after Cobbe Place. Loads of features including good use of natural timber throughout and good garaging for two cars and a boat or campervan. You can't view this by the road, an inspection is highly recommended so call Andra now! Looks Can Be Deceiving This fantastic two bedroom property will surprise you with its modern interior, large conservatory and fantastic parking. Built in the 1950's this weatherboard home is a generous 98m² and was a completely revamped a few years ago. …… Much Better Than New! This stylish home has been almost totally reconstructed inside, with a new kitchen, bathroom, carpet, lino, paintwork, a new double garage and all new driveways. The work has been completed by qualified tradespeople to ensure their work stands the test of time. With this property you will get the keys and all the instruction manuals for the new oven, hob, dishwasher, heat pump not to mention the guarantees with this property. Move in and enjoy a low maintenance lifestyle for many years to come. A Born Again Beauty Not one drop of sweat need be shed to spruce up the interior of this wonderful three bedroom family home. My developers and their qualified team of tradespeople have pain stakingly modified and revamped this home to like new. Three bedroom townhouse in a sunny private location with a pretty garden and double carport. Separate space offering great versatility. Situated close to The Redwoods, Fenton Street and Toi Ohomai. Call "the Girls" today for more details. 0800 999 231.
orua Charming With Modern Feel Nothing to do here with this beautiful three bedroom character home on a compact and easy care North facing section. Newly painted inside and out, new roof and new heat pump installed. Beautiful native timber floors in the kitchen and living areas and spacious lounge opening out to a generous sized conservatory. The bedrooms are generous doubles and the double garage offers plenty of room for the man of the house. This really is a home with "heart". Our owners are motivated to sell so call us now for more information! The Girls 0800 999 231. Brick and Tile Set on a private ROW driveway this family home has three double bedrooms, two living areas, two bathrooms and double garage. Add to this a new kitchen, compliant log burner and covered outdoor living. Sit back and enjoy a tranquil outlook over to Mt Ngongotaha. DONT DELAY CALL SUE TODAY! Nestled on the shores of Lake Okareka’s peninsula, you are surrounded by quality homes on the water’s edge enjoying unbeatable views of the lake and Mount Tarawera beyond. Never before has this property been offered for sale and now the opportunity presents to secure this piece of paradise. The owner has decided to move into town and make room for another family to enjoy all this magnificent property has on offer. Spread over two levels, the owner designed and built the home in 2004 with functionality and flexibility in mind, whilst maximising the benefits that lake front living provides. It is currently set up as a four-bedroom, three-bathroom home, however, it could easily be run as a B&B utilizing the downstairs bedroom, ensuite and living area as a guest retreat. Positioned to enjoy the magnificent views from the living area, kitchen, master bedroom and second bedroom as well as the downstairs living area, you will be able to enjoy the ever-changing lake vista no matter where you decide to spend your time. A spacious interior layout with beautiful detailing showcasing exposed timber beams and bespoke Rimu cabinetry flows effortlessly to the large deck through bi-fold doors. One of the few properties in Rotorua with its own jetty giving you prime access to the lake, this is an opportunity not to be missed. Positioned on an elevated freehold site in one of Rotorua’s most sought-after suburbs, this brick and tile house is the perfect property for someone who isn’t afraid of some work. Built in the 1980’s, you have the benefit of low-maintenance materials and a blank canvas inside to renovate to suit your personal style. Featuring a separate living room, open plan kitchen / dining, sunny conservatory and a large bathroom with separate bath and shower. A large double garage downstairs and fully fenced backyard make this a great property for families. Perfectly tucked away at the top of a cul-de-sac with no thoroughfare traffic offering extra off-street parking and a safe place for your kids. Just a short walk down the road you’ll have access to the stream, lakefront reserve and playground. Just move in and enjoy or rent it out – either way you will be a winner in this exclusive location. Give us a call on 07 343 1891 to arrange your viewing. This elevated, low-maintenance property is tucked away on a fully fence section with landscaped grounds. Perfect for families, it features a bath, large single garage and good-sized bedrooms. The current tenant has enjoyed living here for several years and would love to stay. Give us a call on 07 343 1891 to arrange your viewing. This would be a great addition to your portfolio. Pukehangi 340 Clayton Road Alert for Investors and First-time Buyers! $399,000 View Sunday, 21st April 3:00-3:30pm This really well maintained home is on the market and harcourts.co.nz/RT190403 looking for a proud new owner. Three bedrooms and one bathroom home sits on a generous section with plenty of room for the kids to play safely. Our instructions are clear. Sell! This opportunity will not last long so call Jon Allcock on 027 9000 600 for a viewing, or come to the Open Home. An ideal, well maintained family home is now on the market $499,000 View Sunday, 21st April 2:00-2:30pm in a very desirable location at the top end of the street. harcourts.co.nz/RT190402 This 4-bedroom home is on a flat section, has a double garage and is close to all important amenities. Our instruction from the vendor is sell, and this property should be on your viewing list. If you cannot make the Open Homes, call Jon Allcock on 027 9000 600 for a personal viewing. Western Heights 50 Turner Drive Family Home or Investment! This beautiful family home is sitting on a 847m2 (more or $385,000 less) freehold section which is fully fenced. The driveway View Sunday, 21st April 12:00-12:30pm is paved with brick and the property is set amongst very harcourts.co.nz/RT190316 tidy grounds. The house has been recently tastefully refurbished(Including new carpets and painting). Open plan kitchen, good size lounge, two sunny bedrooms with attach spacious sleepout and garage. The tenant is very keen to stay on and they are paying $410 per week. Don't miss this chance and call Phoenix today! Fairy Springs 8 Neil Road Welcome to the Next Family! This loved home has watched the kids grow, and now it's time to leave the nest. Walking distance to town, Schools, Countdown, Local shops and Tourist Activities. The bike track to Ngongotaha and City Centre is just out the front gate. Warm and inviting, 3 bedrooms, office, additional room off the kitchen and lounge and a Compliant fire with HRV system. But wait, there's more, a double garage on a large 1011sqm fully fenced section and surrounded by mature fruit tree's. Come and see for yourself, you won't want to leave. Ngongotaha 63 Western Road Ngongotaha Stream Access, Views, Low - Maintenance! Close to the Ngongotaha end of Paradise Valley – you will find this 3-bedroom character home where, from the living room, deck and kitchen, you will see rural and town views, and lake peeps. In the expansive kitchen/dining room, an old-fashioned chippie provides warmth and water heating (electric water heating too! ), while the lounge is heated by woodfire. Outside and downstairs, you will find a single garage, with a rumpus room and a second bathroom (needs a bit of polishing!). Set at the front of a large fully-fenced section, close to Ngongotaha, shops, medical centre, tourist locations and cafes, this one needs to be seen. Call Angela to view. Fairy Springs 35 Barnard Road Extras! Extras! Read All About Them! Extra Room – yes, a VERY large double 4th bedroom with its own entrance – it would be great for a bedroom/lounge combination, 2nd toilet, large bathroom – extended family, B and B? Extra garaging Extra garaging - a TRUE double plus workshop. Quiet location, with peeps of rural life, and close to shops, tourist activities, medical centre, cafes and more! Don’t hesitate with this one, this home is light and bright and has been enjoyed by its owner for many years – but they are now on the move and you benefit! Tidy three double bedroom home with a double garage on $419,000 a nice flat section. It is a warm home with a heatpump in View Sunday, 21st April 3:15-3:45pm the lounge. The home is situated in a nice quiet street and harcourts.co.nz/RT190404 is close the to forest where there is an abundance of very popular mountain biking tracks, plus many walking tracks. Only a few minutes ride from home to the forest. Close to local transport. Selwyn Heights 96 Mallard Drive First Home Buyers! Take a Look! Are you looking for a three double bedroomed home with a compliant woodfire, garage and a rumpus room? This property will tick the boxes. The rumpus room is downstairs and has internal access and is currently used as a bedroom, however it could be used for a number of different things; a playroom for the children, a pool room for teenagers, a second TV room. There is a toilet downstairs. Close to schools, local transport and local shops. The property is currently tenanted at $350 per week. This tidy two bedroom Unit with two double bedrooms and a wet area bathroom could be very appealing to you. There is a heatpump and insulation in the ceiling keeping the Unit cosy on cooler nights. Internal access from the single garage is a real plus. The home is elevated and overlooks the city and lake. The tenant is currently paying $265 per week and the Formal Rental Appraisal is $280 to $310 per week. Close to schools and local transport. The Unit next door is for sale too, which could be very appealing for Investors or an extended family needing their own space closeby. Both Units are currently tenanted. The property is currently rented at $320 per week and the Formal Rental $309,000 Appraisal is $350 to $380 per week and the fixed period ends on the 20 View Sunday, 21st April 11:00-11:30am February 2020. Take a look at this tidy three bedroom home. The carpet harcourts.co.nz/RT190322 is in good condition. There is a single carport. Close to local shops, local transport and schools. A Murupara two bedroom property is for sale on a 721 square metre section with a single garage. There is a separate dining room and a woodburner in the lounge. The shower is over the bath. Close to schools, local shops and local transport. The property is currently tenanted and the rent is $170 per week. The Formal Appraisal is $180 to $200 per week. Please contact me on 027 258 9965. Western Heights 5/68 Turner Drive Tidy two bedroom Unit with two double bedrooms and a wet area bathroom. Internal access from the single garage is a real plus. There is insulation in the ceiling and a heatpump making it all set up for winter. The property is elevated and overlook's the city and lake. The tenant is currently paying $265 per week and the Formal Rental Appraisal is $280 to $310 per week. Close to schools and local transport. The Unit next door is for sale too, which could be very appealing for Investors or an extended family needing their own space closeby. Both Units are currently tenanted. Suitable for a Single Person, First Home Buyers, Investor. WHEN YOU LIST WITH US! Takeaway Food Outlet • Successful foodcourt location • High pedestrian flow Retiring owners are selling this unique opportunity in Rotorua's only established food court. Full commercial kitchen with front serving counter and ample seating makes this a must to look at. Current owners working 35 - 40 hours in a seven day business. Currently a Donburi takeaway outlet. All the major national companies are tenants within and outside the foodcourt area. Takeover and trade from day one. Contact Paul Sanford for further details. Webbs Footwear & Sole Outlet Stores • High profile site close to Rotorua Central Mall • Specialist in full range of ladies, men's and children's footwear An icon in Rotorua retail. This business not only has a dedicated regular client base but also consistent gross and net profit performances over decades of retailing. Current staff are competent to run the business with new owner able to look at it as a managed business, or be directly involved. Full assistance will be given on sale to ensure a smooth ownership changeover. Full details of suppliers, financials and chattels are available on request. Contact Paul Sanford for further information. • Located amongst Rotorua's restaurant area • Renovated completely in September 2018 • Current owner is selling for family reasons • Private upstairs area included in lease Located within 100 metres of Rotorua's Eat Streat, surrounded with restaurants and cafes. This is a genuine opportunity to take over an already existing cafe in a great location. Potential to be a restaurant of 30 - 40 seats, with a small area for outdoor seating. Chattels include all cooking facilities on gas and back area for chillers and freezers. Owner will handover at short notice if required. Contact Paul Sanford for full details. • Price includes all chattels and set-up costs • Current owner will rent a chair for one year • Low business costs and guaranteed income • High quality fit-out with ample parking Situated in a small shopping centre on Ranolf Street. The current owner is stepping down from the business but wishes to service her clients by guaranteeing a chair rental for a minimum of one year. Bring your own clients to this location and own your own business. Full details of the chattels and rental costs are available on request. Contact Paul Sanford for further details. • Quality chattels, flooring and commercial kitchen • Renovated in January 2018 • Sale based on chattels only Set-up by the current owner, this well-presented takeaway site located in Rotorua's CBD is a must to look at. Well established current clientele enjoying vegetarian dishes as takeaways. Potential for adding to the existing offering or starting afresh. The renovations included new grease trap, floor, ceiling, lighting, kitchen area and serving counters plus all local council requirements. A full chattels list is available on request. Contact Paul Sanford today for more information. • 48 years locally with solid franchise backing • Year on year solid return on investment • Secure long-term leases • Well trained professional and knowledgeable staff Consistent growth and profitability has made this respected Rotorua business a top performing Palmers franchise. The 1.6776 hectare site provides a range of gardening supplies andlifestyle products,with ahigh standardofmerchandising. Complimentary businesses within the complex include a hairdressing salon and long-standing cafe. Abundant client car parking and a large undeveloped area means there is plenty of ongoing potential. 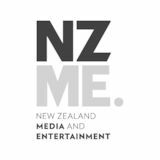 New Zealand and franchise awards are regular as the business continues to grow. Full details are available on request. Viewing is by appointment only. Contact Paul Sanford for further information. 780 m² Two Floors Downstairs: Reception, office, meeting room, board room, kitchen and toilets Upstairs: Filing room, offices, toilets and open plan area This two-storied business office hub has all the features to cater for professional services and administration. Back entrance from 12 dedicated car parks completes the picture. Previously accountants offices. There is furniture and fit out left for the incoming tenant, if required. Available to view by appointment only. Contact Paul Sanford for further information. Happy Easter! Need A Bigger Garden To Hide All Of Those Eggs? List With Letterbox Realty Today! You Won’t Find A Better Deal In Your Letterbox! Have you been looking for a property which has the perfect balance of Land, Shedding and Family Home? This wonderfully maintained home is set in established and easy-care gardens. The interior boasts three bedrooms, a family bathroom and a generous open plan living, dining and kitchen area. There is a large mud room complete with separate shower and toilet. Decking around two sides of the home leads out to the grass tennis court, gardens and a detached five car garage with a large sleep out. Supporting buildings include, three implement sheds and a deer shed. The property is mainly deer fenced. The 12.5520 hectares of land comprises mainly of flat to rolling contour. 1.8 Hectares more or less of predominately easy rolling land. Elevated building site with power and water already established. 360-degree rural outlook. Metal base for driveway has been laid. Handy to Rotorua and Tirau. Bare land with Title Granted. 07 3 4 5 7 07 5 0 27 474 8 07 3 g r a h a m @ l e t t e r b o x r e a l t y. Get Listed, Get Noticed, Get SOLD! YOUR HOME HERE? Happy Easter from ‘The Badgers’ Danielle, Marlene and Phil are dedicated and passionate about helping people. Now selling Property of all sizes in your area. Residential, Lifestyle and Rural. Contact ‘The Badgers” today for all of your Real Estate requirements!